[%image cowgirl float=left width=150] California is home to a wealth of artisanal cheesemakers. 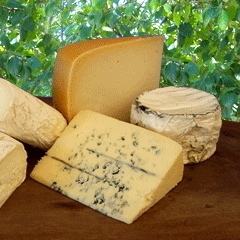 Cowgirl Creamery has gained nationwide recognition for its four aged and three fresh cheeses, while Pedrozo Dairy and Cheese Company produces raw-milk cheeses flavored with spices and wines. Vella Cheese’s Dry Jack is aged for seven to 10 months, and is one of two cheeses in the U.S. Slow Food Ark of Taste. 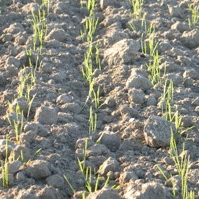 [%image rice float=left width=150] Massa Organics sells brown rice grown on their 90-acre family farm. The farm is home to multiple animal habitats, and the rice is both organic and sustainable. It’s available in two-pound bags or, should you need 20 pounds at a time, in bulk. 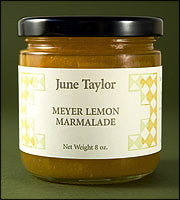 [%image marmalade float=left width=150] The Bay Area's June Taylor sources local, organic, and often rare fruits for her handmade, small-batch preserves, including jams, butters, and syrups. Unusual June Taylor fruits include Meyer lemons, damson and greengage plums, Astrachan apples, Seville oranges, white nectarines, and quince. Fellow Bay Area jam producer CMB Sweets makes such unusual flavors as fig-sesame, olallieberry, and apricot-habañero jam. Meanwhile, Happy Girl Kitchen Company takes local produce — most of it from within 20 miles of the company kitchen — and preserves it into pickles, pesto, and jams. [%image hearststeak float=left width=150] Sonoma Direct provides fresh, grass-fed, sustainably raised lamb and veal, from small family farms from Sonoma County. Hearst Ranch raises free-range cattle in the shadow of Hearst Castle and sells a variety of beef products. And Long Meadow Ranch sells ranch wear, cowhides, and Highland horns in addition to grass-fed beef. 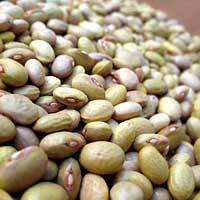 [%image beans float=left width=150] Rancho Gordo sources and sells more than 20 varieties of freshly dried heirloom beans, as well as hominy, chiles, and spices. [%image davero float=left width=150] Several years ago, the University of Califonia, Davis, had a problem: 1,500 olive trees dropping their fruit all over the sidewalks of the campus. In 2005, the school solved the problem (and paid for tree maintenance) by producing olive oil from the trees; the result is the award-winning UC Davis Olive Oil. 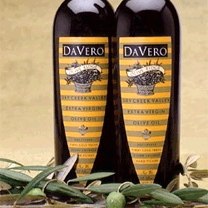 DaVero, Tres Sabores, and Valencia Creek Farms also produce olive oil in addition to wine. Valencia Creek even sells olive-oil based truffles, infused with wine, lavender, and Big Sur fleur de sel. 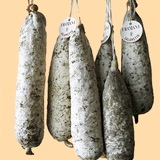 [%image salami float=left width=150] It’s difficult to find a sausage made without added nitrites these days, but Berkeley’s Fra’Mani is producing dried salami without them. 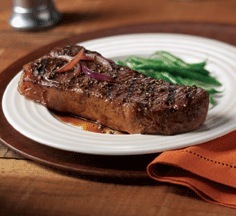 The pork sausages are aged, mold-ripened, and hand-crafted in traditional Italian styles. Bittersweet Chocolate Cafe sells premium bar chocolate, drinking chocolate, and truffles; the company website has a Chocolate FAQ with advice on pairing wines and liquor with your chocolates. One small company that Bittersweet doesn’t carry is Tcho, a chocolate company that produces single-origin chocolates based on their “flavor notes.” Samplers are labeled by type, such as “chocolatey,” “nutty,” and “fruity.” You can buy their chocolates online, at Whole Foods, or at select markets in the U.S. Bees produce much more than honey, and Sebastopol’s Beekind sells everything from royal jelly to honeycomb to honey medicinals. Should the honey truffles inspire you to set up a hive in your back yard, the company can also sell you honey bees and beekeeping supplies. Raw-milk advocates claim that it can heal ear infections, cataracts, aches and pains, the common cold, and more. If you want to try it yourself, Organic Pastures can’t ship their raw milk out of state due to legalities, but they can ship their Superlite Colostrum. The Superlite is 95 percent raw milk and 5 percent colostrum (the “superfood” which cows produce to feed to their newborn calves), and is classified as a “dietary supplement.” They also sell butter, cream, and yogurt-like kefir. The San Diego area's La Vigne Fruits is certified both organic and biodynamic and grows citrus fruits — kumquats, Meyer lemons, limes, minneolas, blood oranges — and persimmons, too. The company sells fresh fruit by the box as well as a variety of unique preserved items: persimmon leather, frozen kumquat puree, dried kaffir lime leaves, and Moroccan Lemon Preserves (to name but a few). block(clear green). Have a favorite regional specialty from California? Share it in the comments section below.